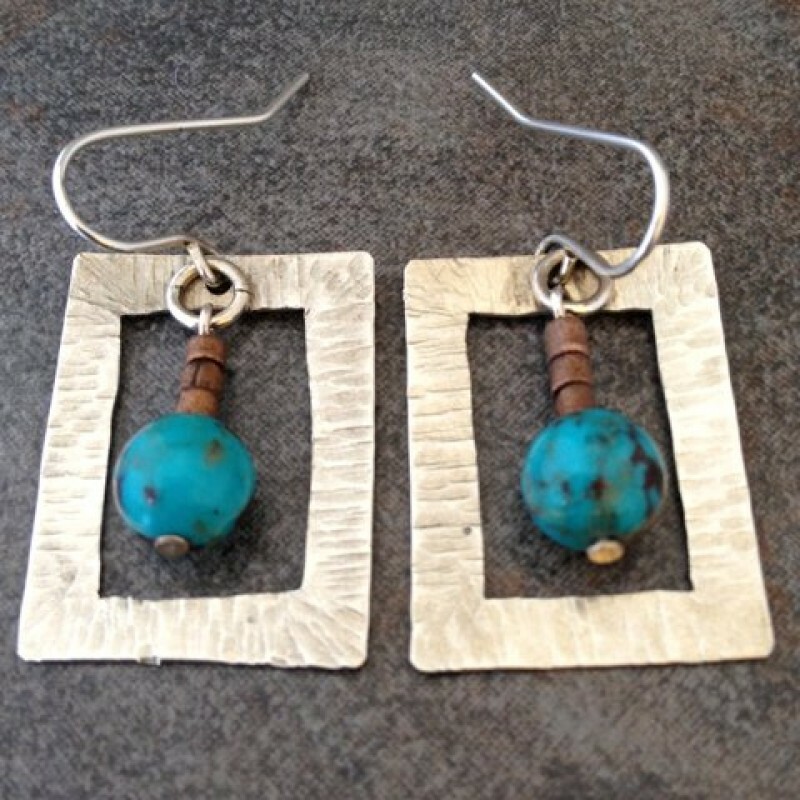 Sterling silver earrings with turquoise and copper beads pictured inside hand crafted, hammered and textured sterling silver frame. 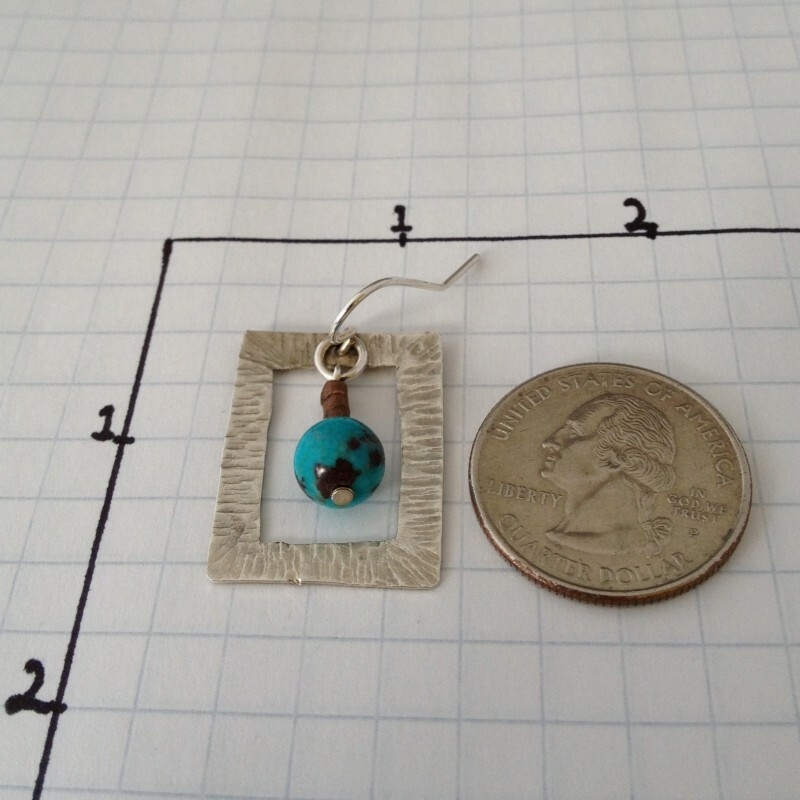 Large turquoise beads and small old copper beads are the picture in a hammered sterling silver frame. The beads sway inside the frame which is hung on a French wire. 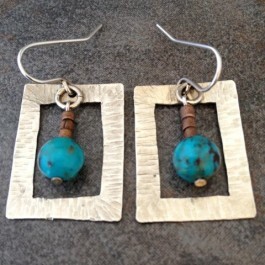 The cool tones of the silver and the turquoise are warmed up by the reddish copper that has been weathered by time. 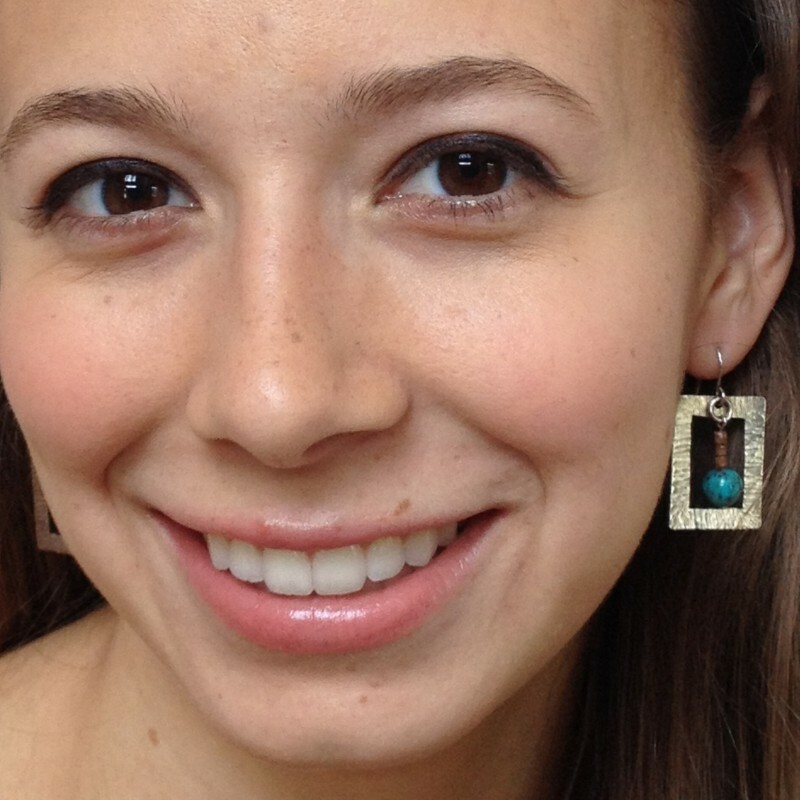 Lightweight and comfortable Bohemian chic earrings that will become your favorite pair. 1 3/8" long, 3/4" wide.